Makeup removal is an arduous task, but definitely not something that you can give a miss if you are aiming for flawless skin. There are nights when I have literally started sleeping & then realized that I have not taken off my makeup and not prepared for a breakout the next morning. 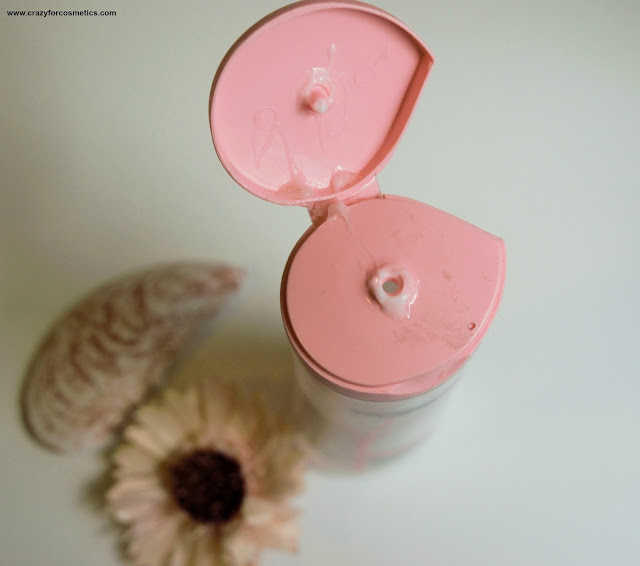 I have talked lots about makeup removal in so many posts and you would know it if you had been following my blog regularly. Makeup removers, Cleansing waters, cleansing milk - all 3 of them basically do the same work, but to different extents. I have got to try all 3 of them & hands down, I would recommend cleansing Water like Bioderma, but it can cause a hole in your pockets. There has to be some affordable alternative for them, right? 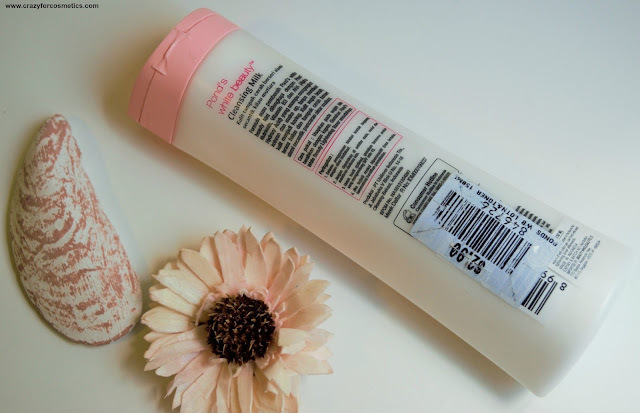 So I got to try the Ponds White Beauty Cleansing Milk and so far, I have been really liking it and I have my review here. After a long day out, do not forget to remove make-up before going to bed! 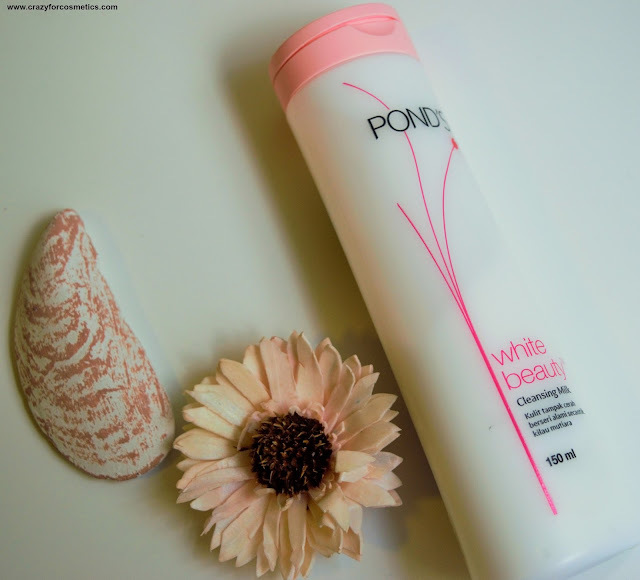 Pond’s White Beauty Cleansing Milk helps to remove dirt and make-up without leaving the skin dry. It is enriched with Pearl Nutrients, Vitamin B3 and AHA to make your skin moisture and radiant. Water, Mineral Oil, Glycerin, PEG-40 Stearate, dimethicone, Steareth-2, Cetyf Alcohol, Xanthan Gum, Decyl Glucoside, Phenoxyethanol, Niacinamide, Methylparaben, Perfume, Potassium Lactate, Lactic Acid 0.02%, Propylparaben, BHT, Hydrolized Conchiolin Protein. within by wiping away the buiansing Milk. 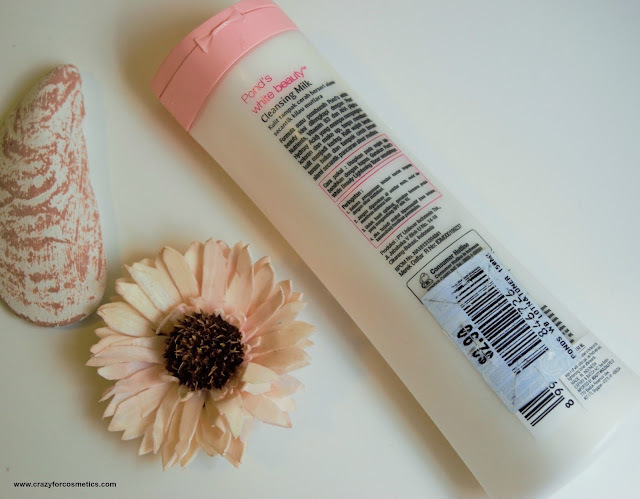 I totally love the packaging of this Cleansing milk because it comes in my favorite combination of white & pink color.A sturdy bottle which has taken all the mishandling by me and still remained intact without spilling the product. I just throw it randomly in my cupboard once I am done using it because I would be too sleepy to secure it at the right place. 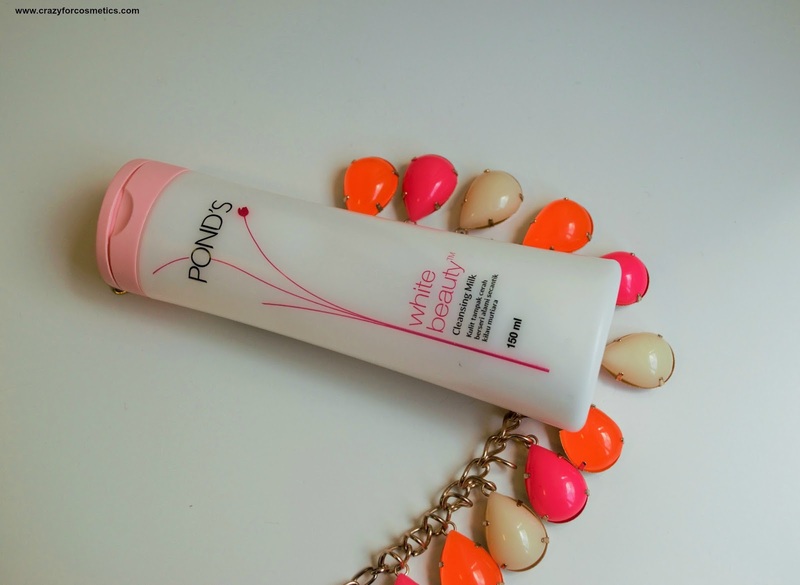 I love the fragrance of this Ponds white beauty cleansing milk and it reminds me of the white beauty cream. The consistency of the cleansing milk is creamy yet not completely runny and hence controlling the desired amount becomes easy. 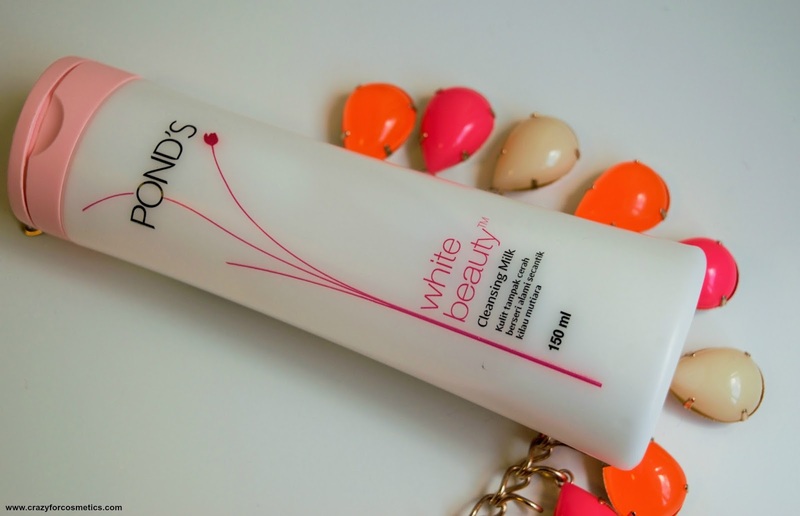 A few drops of the Ponds White Beauty Cleansing milk is enough to remove the entire face makeup. I take a few drops on a cotton pad and first let it soak on my eye makeup and slowly wipe off the eye makeup. Then I take a few more drops on another clean cotton pad and wipe my face makeup. It manages to clean my face really well and I just wash it with face wash so that my face is not oily.The cleansing milk can sometimes enter your eyes and kind of create a blurry vision for few minutes and hence ensure your eyes are tightly shut before you use this to remove eye makeup. 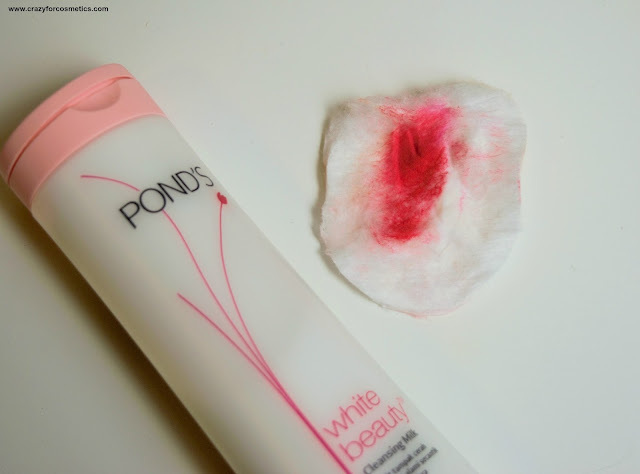 The Ponds White beauty Cleansing milk does make my skin a little oily but not sticky, though.It leaves behind a mild oily residue which I do not like and hence go ahead and wash my face with a face wash.I also did not observe any pinkish glow in my face as claimed by the brand and it has not done anything special to my skin. However, I love this as a makeup remover and it also does not dry out my skin and there were no breakouts caused by this. 2: Cleanses out all the makeup and dirt from the face. 3: Does not dry out your skin. 6: Does not cause any skin irritation or breakouts. 7: Would come a long way. 1: Not suitable for oily skin. 2: Can irritate your eyes if it goes inside your eyes. 3: No pinkish glow was observed.